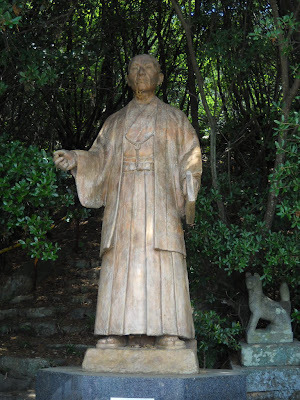 You can view other posts about Onomichi, a city in Hiroshima Prefecture – 5 October and 28 November 2012, 5 January 2013. It is a charming locality. These are some views of Onomichi from a higher position. This rock is hollow. There is a small hammer to check the sound when hitting the rock. A thin layer of stone, and there seems to be just abyss below.